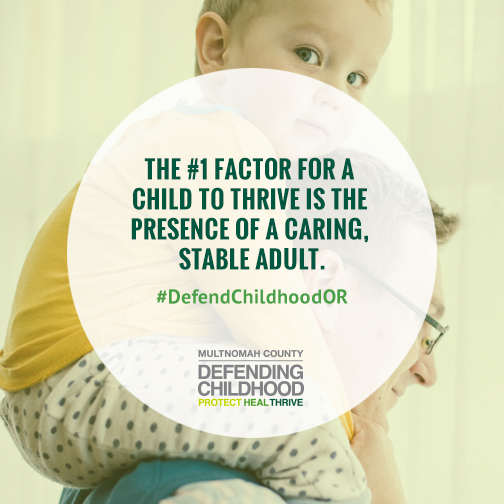 The #1 factor for a child to thrive is the presence of a caring, stable adult. 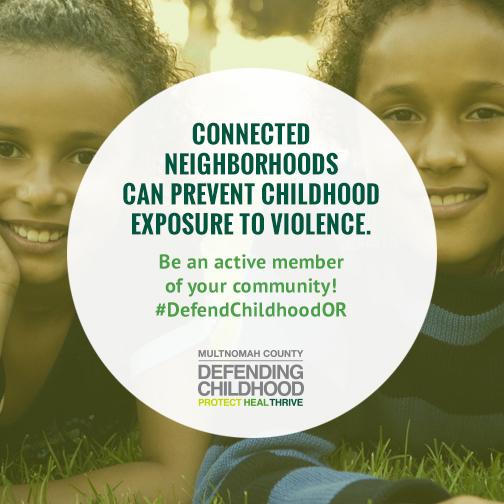 More than 60 percent of kids in the U.S. have been exposed to crime, abuse, and violence in their homes, schools, and communities. 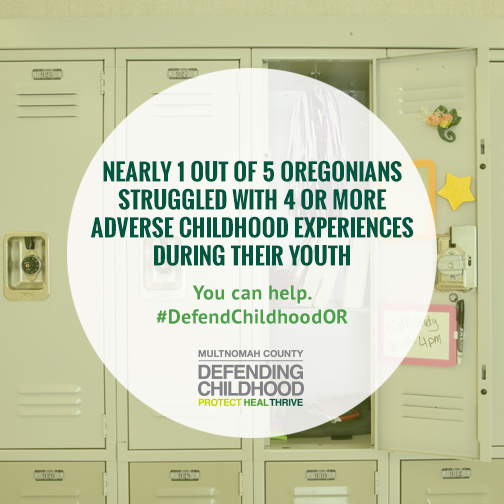 Childhood exposure to violence has real, tangible, and detrimental impacts on our children. 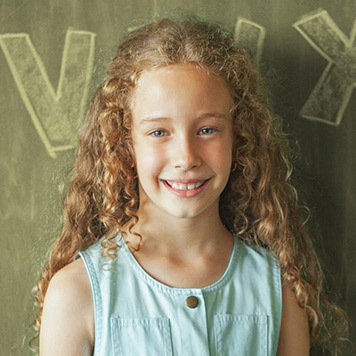 A child’s exposure to one type of violence increases the likelihood that the child will be exposed to other types of violence and exposed multiple times. 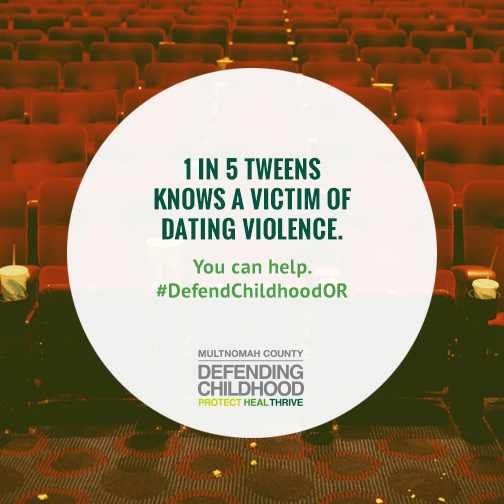 With the help of caring and supportive adults, children affected by violence can recover and thrive. 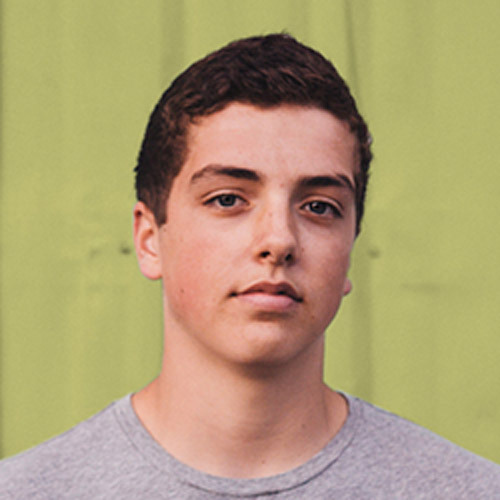 Get to know the kids who live in your neighborhood. Wave hello. Start conversations. 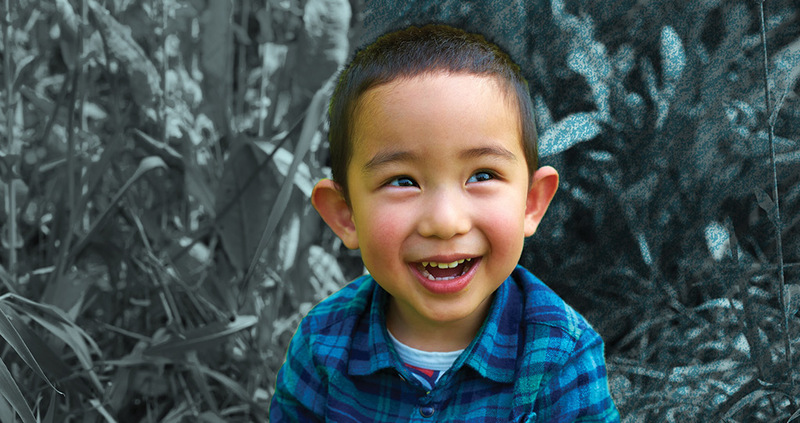 Every child in Multnomah County matters—make them feel like it. 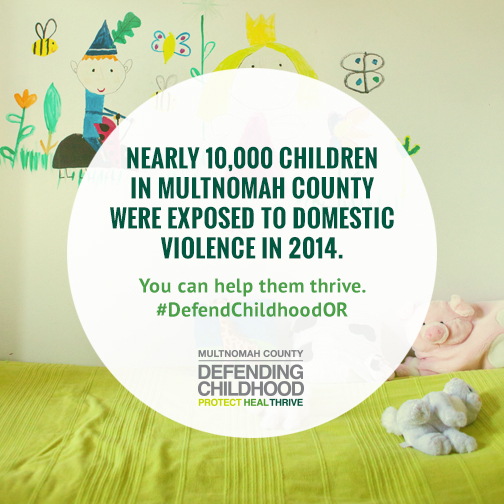 EVERY CHILD IN MULTNOMAH COUNTY MATTERS. BE AN ADULT THEY CAN TRUST. BE PART OF THE SOLUTION. 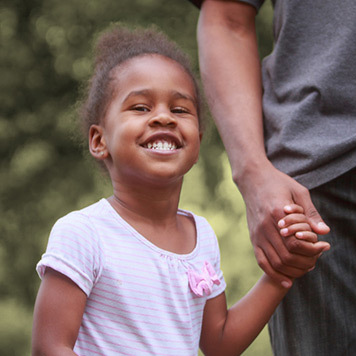 Support from a safe, nurturing caregiver who understands their child’s developmental needs is one of the best ways that children exposed to violence can heal. 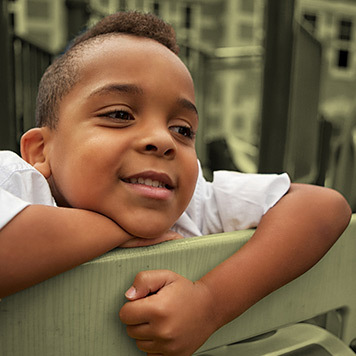 Concrete support in times of need can help families be resilient in the face of violence and trauma. 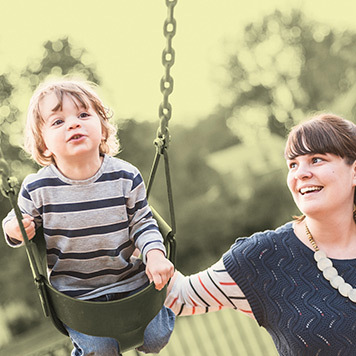 For youth who may not have experienced many other positive relationships with adults, the student-teacher bond can be very important. 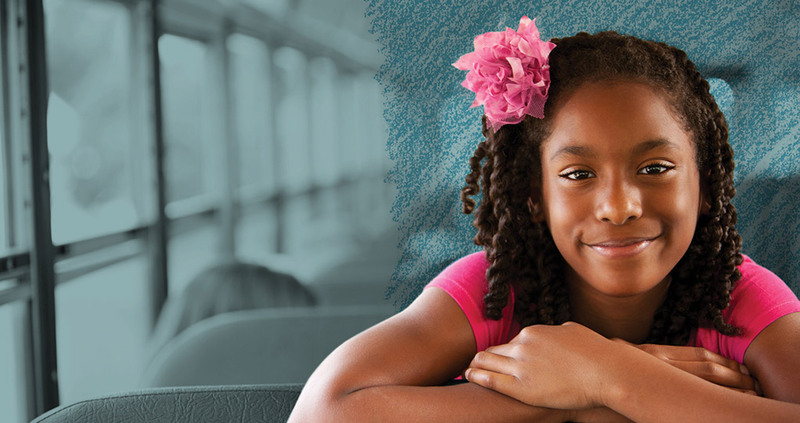 Educators who listen and are dependable can offer their students stability and an opportunity to be heard. 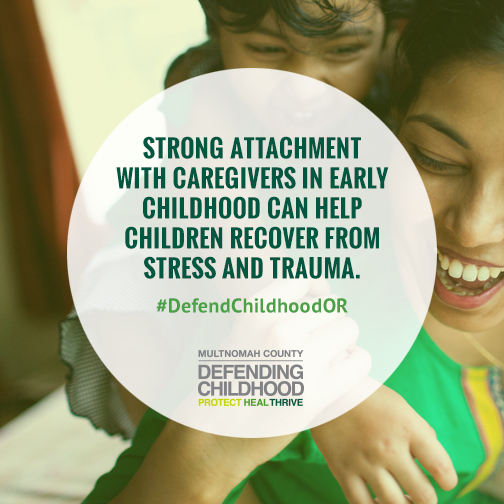 Strong attachment with caregivers in early childhood can help children recover from stress and trauma. 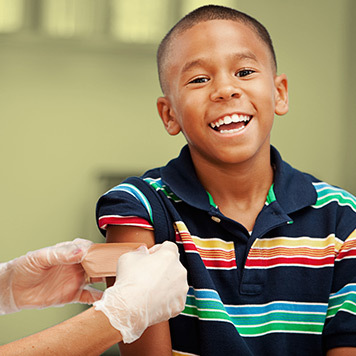 Encourage parents to read to and be present with their children to promote healing.